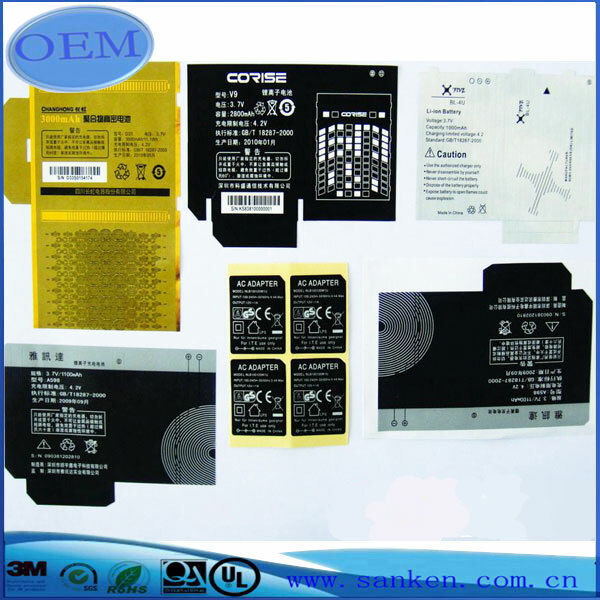 Battery Packing Adhesive Label, this label is specially used for battery and it plays a suggestive role when people are charging battery. clients designs acceptable, they can be in sheet, roll or special package, we will package the products according to clients requirement.And it is water-proof, oil-proof, alcohol-proof and so on. Looking for ideal Battery Adhesive Label Manufacturer & supplier ? We have a wide selection at great prices to help you get creative. All the Strong Adhesive Label are quality guaranteed. We are China Origin Factory of Suggestive Function Sticker. If you have any question, please feel free to contact us.